I used to resent it when I was younger. This way life has of carrying on in spite of things. I took it then as a sign of how little anyone else cared about my suffering, all the teenage weight of angst that I bore, and I hated it. I just wanted the world to stop and let me have my break down. Now, I find myself grateful for the persistent way that life has of pulling me along with it, into the bright light of day. Don't write it. It's too horrific. What do I do with it then? What do I do? I didn't know what to do. You should have left it there. Let them send it to pathology. Then there would be nothing to tell. But I would know. I couldn't forget. I was all alone in that room, and there was all the blood everywhere, and the smell. I didn't have a phone to call anyone. You shouldn't have looked. You should have just let it go. Now what are you going to do with it? But it could have... I might have seen... I had to know. And now you know. Is it any better? Than not knowing? It's too late to find out. You were laughing before this. You were getting through. I thought it was a funny joke. An OB who couldn't find my cervix. I thought it would turn out to be a big deal over nothing. I had never met her before, how was I to know? and the cupboard doors banging and the scrambling around to find things. What to say when someone miscarries. Because I'm analytical, even when I'm in the middle of life altering events, I tend to make observations and file them away for later when I have time to think about them. A lot of people I love have had miscarriages before I did. 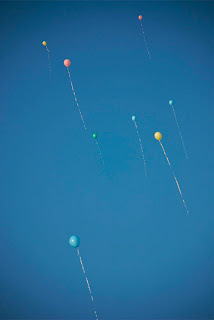 I've cried, and wondered what to say, and prayed for them, and wondered what on earth I can do to show my friend I care. Some of this was in a way helpful while I was going through it. Just as when in labor it often helps to think of all the women who have given birth, who are giving birth right now, there was something about my awareness that I'm not the only one this has happened to that made it easier. That miscarriage is, in a way, commonplace, doesn't make it any more right. But knowing that it happens, and that people get through it somehow, did help in a way. 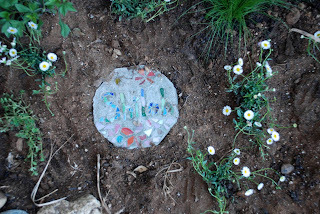 We named our baby Shiloh, which means "His gift". I wanted for us to always be reminded when we remember this child, that his/her short presence here with us was a blessing. I know this for sure. I do not wish for a second that I wasn't pregnant at all in order to be spared this pain. The time that we were expecting, the work we did in our hearts to welcome this baby in, the joy we felt together in anticipation, I wouldn't trade any of it even if I knew the outcome from the start. I know that the presence of Shiloh healed us in some way, of our fear of another pregnancy for one thing. It only strengthened the ties we have with each other to have, and to lose, a child so dearly loved. Who asks, "Do you need me to come right now?" when I call him weeping because I'm bleeding. Who, a day later when I really do need him, drops everything, leaves a major project at work hanging, and stays at my side for the rest of the day. Who stops on the way to pick up groceries and plans meals for the next 3 days since he knows I won't be up to much. Who makes killer margaritas, and keeps me supplied with them and chocolate ice cream to kill the pain until I am ready to lay in his arms and cry. Who calls everyone and talks to them when I cannot. Who holds me and says nothing trite or easy while we deal with this together. Who tells his brother he won't let himself fall apart until he's sure I am OK. And then still doesn't fall apart, because he's already at peace. Who watches the kids and deals with the neighbors when I realize I'm not ready for all that yet and go hide out in the bedroom to rest. My baby is dead. It probably has been for 3 weeks. Yesterday morning I started to miscarry. Today a sonogram confirmed what we most feared, and suspected. It makes sense of why I haven't had nausea these past few weeks. Why I haven't really felt pregnant at all. I remember thinking when I wrote about this baby that I was being a bit presumptuous, assuming that a pregnancy meant a baby at the end of it. But I decided at the time, that even if something went wrong, it would be silly to pretend that there was no baby at all, just because it didn't live full term. I want to write about today. But in order to do that I would need to mention the elephant in the middle of my room. And until I'm sure one way or another about the existence of said elephant, I don't really want to write about it. So I'll settle for this. It's been a really hard day. Yet, I am in awe of how much I feel carried through it. I feel like I'm being held in loving arms and gently wrapped up in love and prayer. All day has carried with it little unexpected gifts, and I feel lifted by grace as I move through this. I know that's terribly cryptic. I promise I'll tell you more tomorrow. So I forgot what day it was until my friend at church gave me a hug and wished me Happy Mother's Day. It was happy. I saw a friend and her latest baby for a few minutes who lives on the other side of the country. (Hi Esther.) Then we went to the community college dance recital to watch my sil shake her thang on stage. Seriously, she performed a belly dance routine to Celtic music in a sort of fusion style that was kind of awesome. Also there were some tahitian dances, afrocuban dances, lame modern dances, some frightening amateur ballet routines, and by frightening I am referring in particular to the guy in the dance cup and the lycra pants, and some very entertaining hip hop numbers. I've missed a few weeks. Sometimes life turns you on your head and routines are disrupted. But through it all it's a blessing to be able to see just how many gifts each day brings with it. Here are a few that I've been enjoying the past few weeks. Of teeth, toilets, and other boring stuff. I'm not getting into a write during the day groove at all. I used to post in the evening, after the kids were asleep and I had the mental space to compose sentences. Now that I share with the GH, he uses his laptop at night, and I get it during the day. Slow to adapt, that's me. I have a 1000 Gifts list coming soon though.